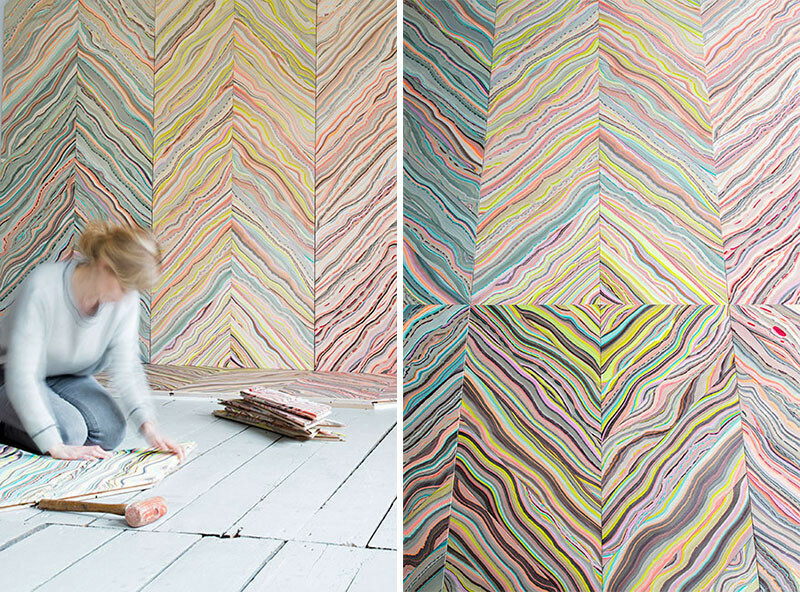 Pernille Snedker Hansen of Copenhagen-based Snedker Studio, creates colorful wood flooring using a marbling technique. 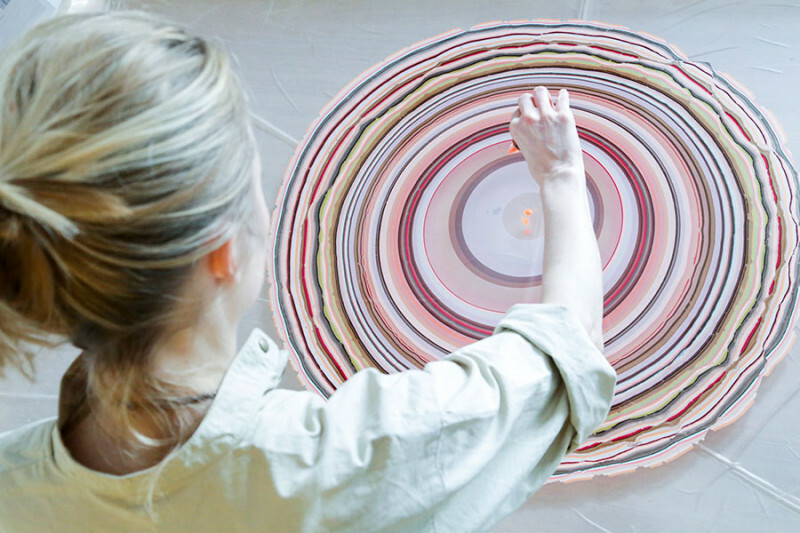 Let’s have a look at how she does it. 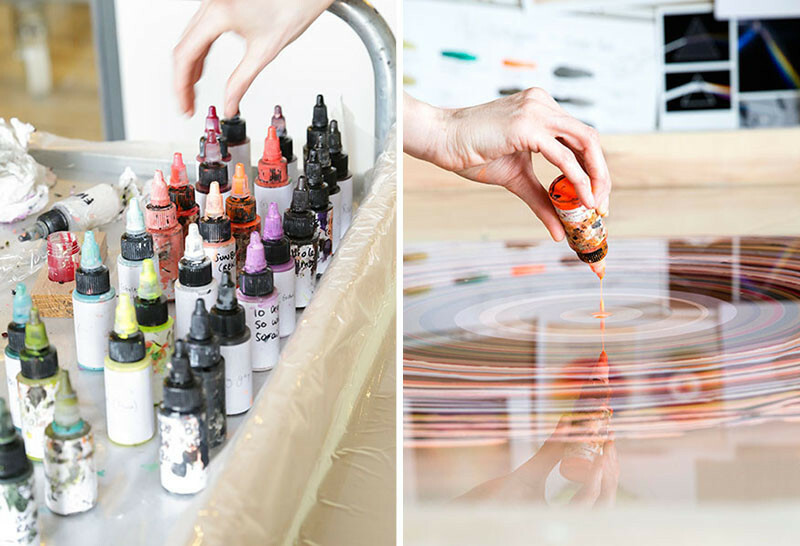 Using ink, she slowly creates a pattern by dropping the ink onto water. 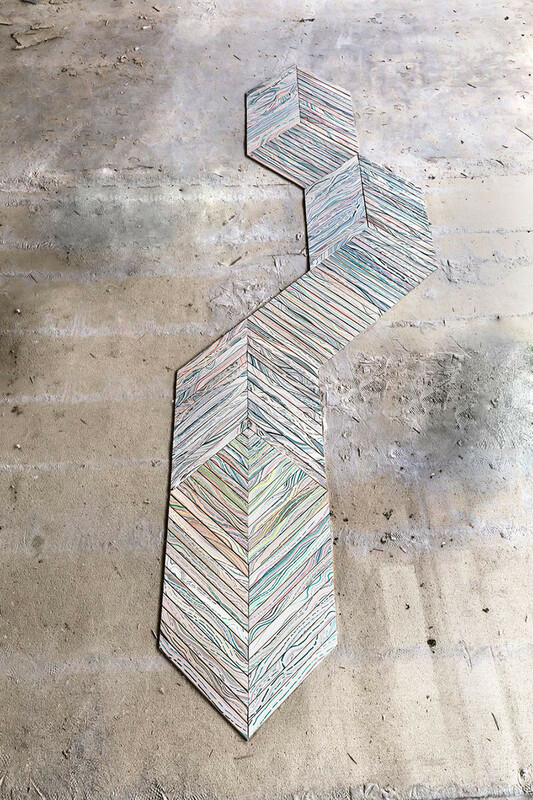 By layering the ink, she eventually creates a pattern, in this case, the pattern reflects the design of the growth rings naturally found in wood. 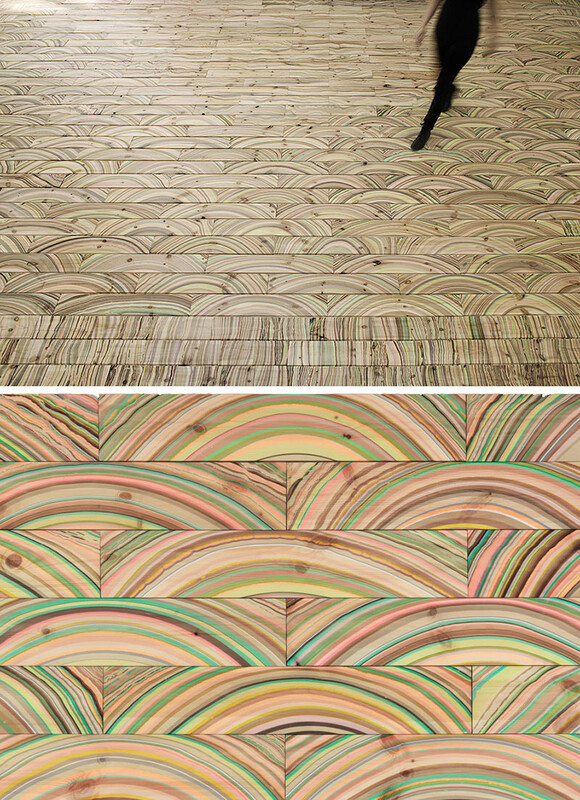 Once the design is ready, she places the blank wood floor board directly onto a section of the ink. 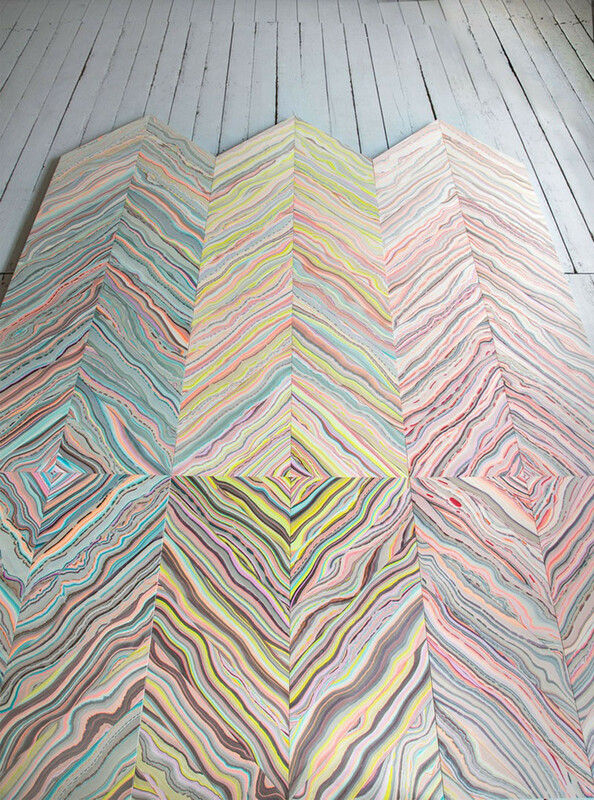 The ink then transfers onto the wood, with each section of floorboard being marbled individually. The floorboards are then rinsed. They then need to be left to dry. 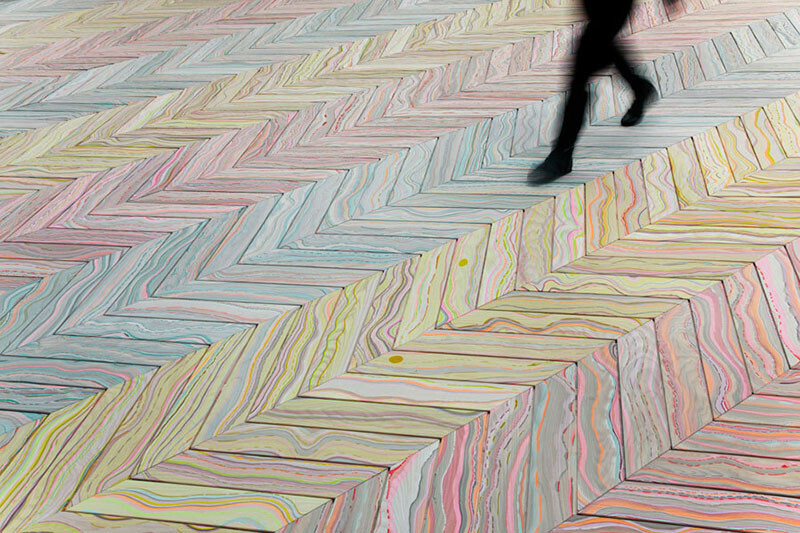 Once dried, they can then be pieced together to create a pattern on the floor. 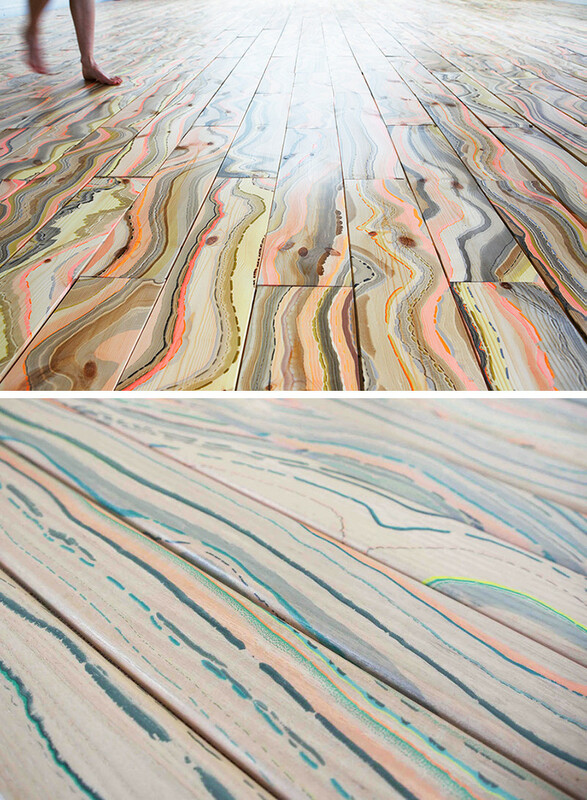 Here’s some examples of the finished marbled floorboards. 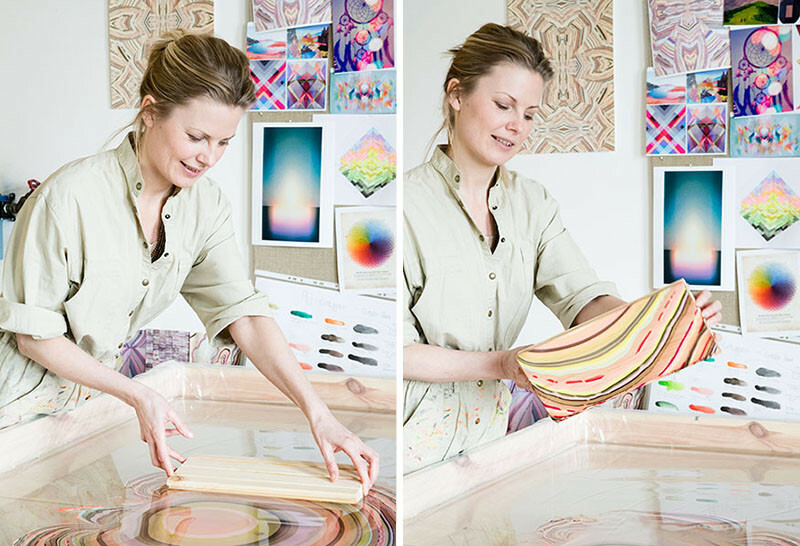 Watch the video below to learn more about how she creates these designs.